This help article contains information about the main appointment interactions available with the RadScheduler. 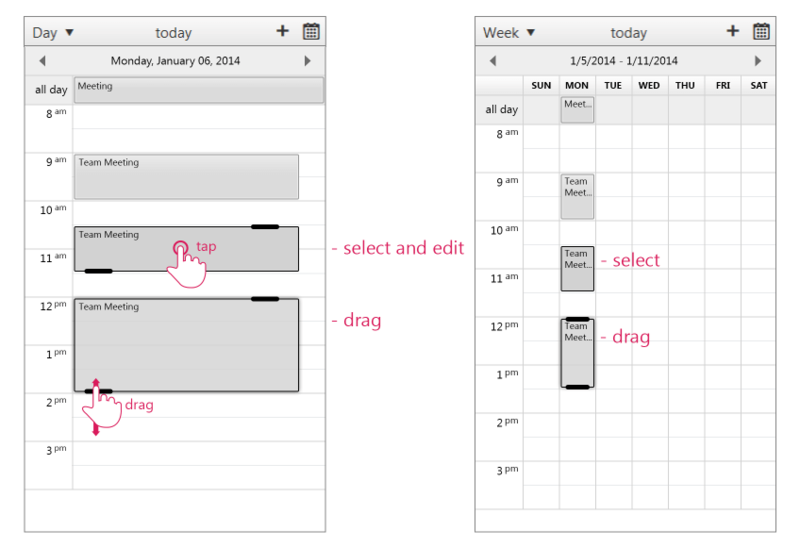 Please note that the RadScheduler mobile rendering rely on native input elements (input type = “date|time|number”) and could not work properly on browser that does not support them. 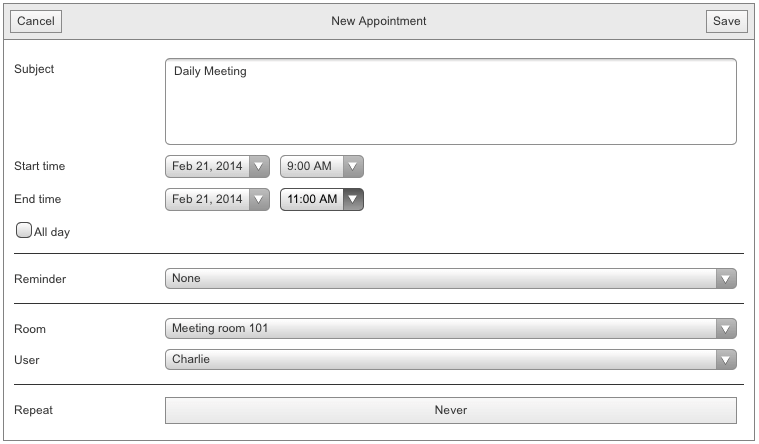 A major change from the previous behavior in mobile devices is that the Appointment is not immediately draggable. In order to drag or resize an appointment, you now have to select it first. When you select an appointment the new resize handles (optimized for touch screens) are shown, and you can now drag and resize it freely. If an AppointmentContextMenu is set, it will be opened. Figure 2. 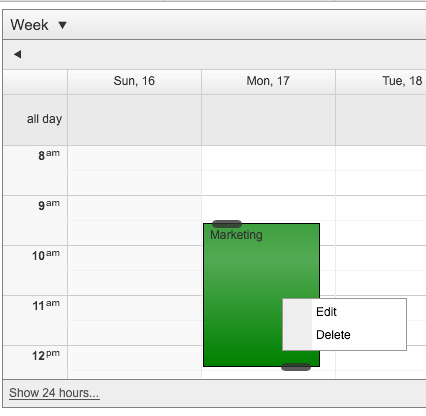 Appointment context menu is shown. If there’s no context menu, the InlineEdit or AdvancedEdit form will be opened, depending on the StartEditingInAdvancedForm property.